Bring out the champagne because it’s time to celebrate! 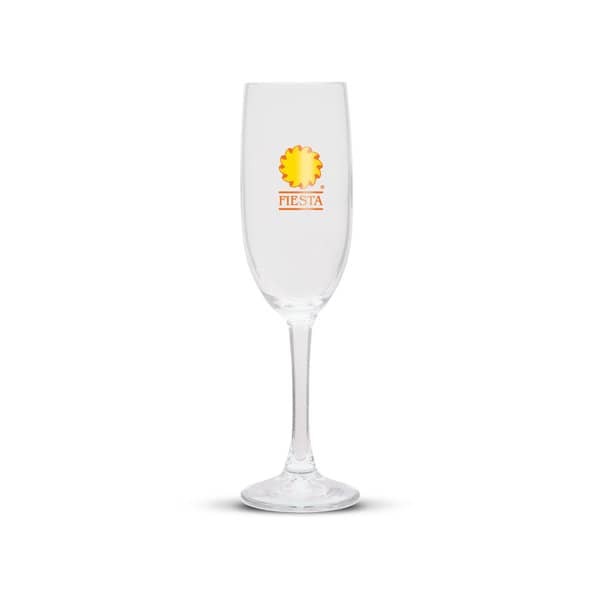 The Chiara Champagne Flute is a delicately-crafted Bormioli Rocco flute which is manufactured in Italy from toughened glass. 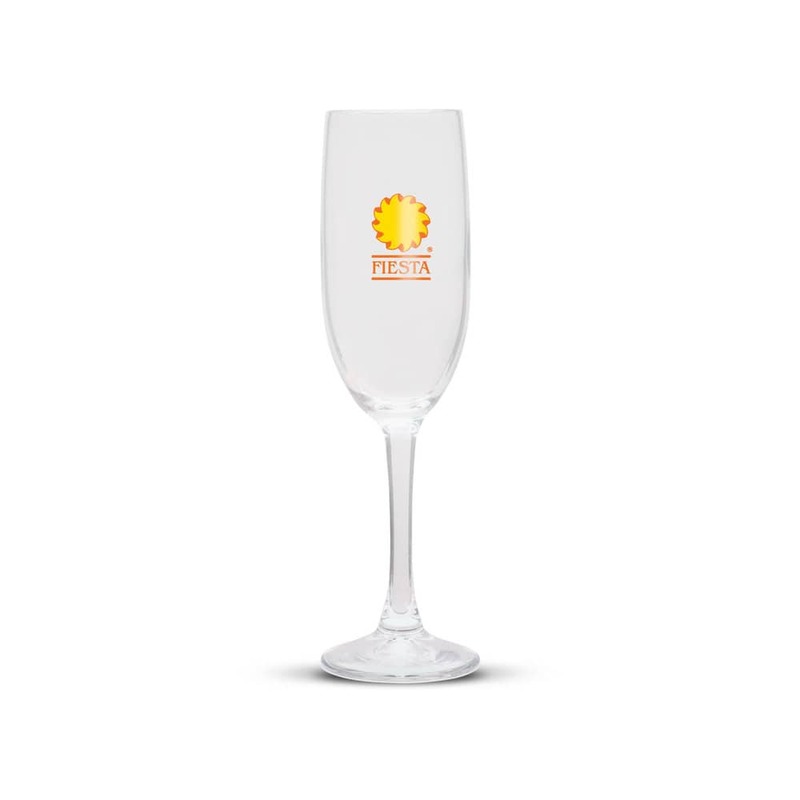 Classy and elegant, it has a 170ml capacity and can be printed with your logo. Handwashing is recommended for this item. Dia 55mm x H 194mm. Pad Print 30mm circle or 20mm x 40mm (vertical). Imitation Etch 30mm circle or 20mm x 40mm (vertical). Laser Engraving 20mm x 30mm (vertical).